As our bodies begin to age, our bones become weaker, our joints stiffer, and our memories fuzzier. We begin to feel the Earth’s gravity taking its toll, and we move slower as a result. For women, menopause hovers around the corner at middle age. Menopause generally comes with it symptoms of night sweats, mood changes, weight gain, and sleep problems. The most common symptom of menopause are “hot flashes” which is a sudden feeling of heat and sweating. More than two-thirds of women in the United States suffer from hot flashes during menopause. If that weren’t bad enough, a new study has shown that women who do experience hot flashes are twice as likely to suffer from hip fractures. This study examined records for over 23,000 women, ages 50-79 who were members of a “Women’s Health Initiative Clinical Trial” that took place at 40 U.S. Medical Centers. Along with those 23,000 they studied almost 5,000 women who took part of a bone mineral density study. It’s important to note that these 5,000 were not taking any type of hormone therapy to treat their menopause symptoms. Bone mineral density is used to measure the health of the bones and is also used to diagnose osteoporosis. While not many hip fractures occurred in the women that were studied, those that had moderate to severe hot flashes during menopause had lower bone density than women who did not suffer from hot flashes. Because of the lowered bone density, they were also almost two times likely to suffer from a hip fracture at some point in the future. While the data shows this to occur, the “why” has still not been determined. Researchers ruled out age, weight, and race as causes, along with estrogen medication and smoking. Hot flashes and cardiovascular risk markers were found to be associated but there was no relation researchers could find. While something different is occurring in women with hot flashes, medical technology is not able to determine the cause at this time. While 60 percent of women suffer from hot flashes, a whopping 80 percent of them have them for up to five years. Hot flashes can last up to ten years on some women. 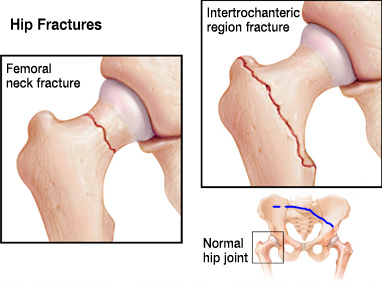 Knowing that these women are twice as likely to have hip fractures, which most kinds require surgery, is alarming. 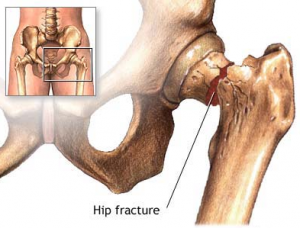 Hip fractures occur in over 300,000 people ages 65 and older every year, with 20 to 30 percent of these patients dying within a year. Hot flashes in women with menopause, while a nuisance, are normal and nothing to be alarmed about. Deep breathing and hormone therapy are used to treat hot flashes if needed. Women with hot flashes should do their best to protect their bone health. Activities such as walking, swimming, or staying mobile will help keep joints moving. It is important to avoid tobacco and alcohol as they can make hot flashes worse and decrease good health.. Taking care of yourself is important to improve over all well-being. If you have hip pain, contact our sports medicine specialists at Orthopedic Surgery San Diego today to undergo an evaluation.